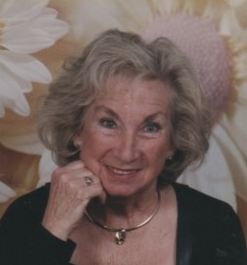 Mary Esther Reed, 88, of Littlestown, died Tues, Dec 4, at Homewood at Plum Creek, Hanover. She was the widow of Carroll E. Reed who died on Nov 3, 1998. Born Feb 22, 1930 in Two Taverns, Mary Esther was the daughter of the late Herman & Esther (Rudisill) Keefer. She was a Gettysburg High School graduate and was retired from Thrift Drug, Hanover, after 30 years of employment. Surviving are her children: David E. Reed & Melinda of Valrico, FL; Andrew C. Reed & Claudia of Gahanna, OH; Lori B. McDaniel & Steven of Harrisburg; her 7 grandchildren and a great grandchild. She was predeceased by her daughter, Debra Reed and her brother, John Keefer. Mary Esther was a member of St. Johns Lutheran Church, Littlestown. She enjoyed gardening, cruises, and visiting with family and friends. My thoughts and prayers have been with you all . I'm so sorry I couldn't attend the service . My deepest and sincerest sympathy. Your mom was a good lady. I feel like she was my mom in some regards in that I've known her most of my life, I think since around 10 years old. Thank you for sharing her with me and treating like a brother. She was one of a kind. :) God bless "Mom Reed" and each of you.